The Kentucky Derby is less than four weeks away and I’m as excited as I have ever been. We started working again with the Thoroughbred Daily News (TDN) again this past year which lands us in the middle of the owners, trainers, jockeys, exercise riders, hot walkers and grooms all prepping for the pinnacle first Saturday in May. E5 Racing burst on the thoroughbred scene just over than two years ago. They’ve already won a couple Breeders’ Cup Championships and are now in contention for the Kentucky Derby with Good Magic. The TDN has always been special to me because it is owned by two friends and former work colleagues of mine who took the paper from a daily one sheet informational fax to the expansive and most reputable media source in thoroughbred racing and breeding today. I worked at the TDN 15 years ago marketing special thoroughbred ventures. I watched with my own eyes how great leadership can foster productivity and excellence. My life moved me around quite a bit and I left horse racing, the sport I loved covering more than all others since 1986. I kept my terrific memories. Occasionally I would produce a show or feature for TVG or NYRA, but I didn’t see myself coming back. Sue Finley saw things differently. Sue is the publisher/co-owner of the TDN and the TDN Weekend Magazine. When, a year and a half ago, doctors found a cancerous tumor in my stomach, Sue spearheaded a plan to get me into surgery at Memorial Sloan Kettering with the top GI cancer doctor in the world. 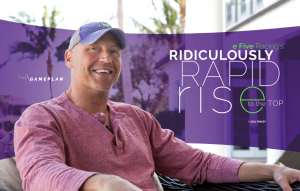 Two weeks later I was cancer free and Sue and I started discussing our future and how we may work together again. ‘Next’ currently is expanding the media at TDN to give readers everything they need to stay informed on the business of racing and breeding, to make the streaming present and in real time and to build the video assets as rich as the current TDN text and photography libraries. We started in baby steps with regular features like “The Last Word” and “The Big Interview” and now we are equipping writers with cameras to catch sound bites to accompany their stories. TDN features are becoming multi-media spreads layering information, insights and perspectives to the stories. A well-timed partnership with XBTV is providing video of morning workouts and as well as race coverage on featured days. We are setting up for coverage all over the country and world to keep the TDN as the only source a professional in racing needs to run their business. The future is limitless as we expand into video ads and profile features. 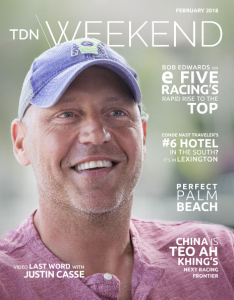 The TDN Weekend is a thoroughbred lifestyle magazine. I’m honored to host the monthly overviews. The TDN Weekend is Sue’s brainchild digital magazine expansion piece that showcases the unique corners of the world that people in racing find themselves. Hotels, restaurants, chefs, personalities, travel tips and much more are all fleshed out with glorious images and film. I feel as if I have taken a vacation every time I read the TDN Weekend. I host the monthly overview because my passion for the TDN Weekend is unbridled. PWMG contributes photos, videos and ads. I went a little off my gourd when one of my photos made the cover for the first time. The May TDN Weekend will feature Kentucky Derby recipe segments that we filmed in Orlando. Everyone pitched in. The Kentucky bourbon flowed. The food was so outstanding we made it again the next week just for eating. 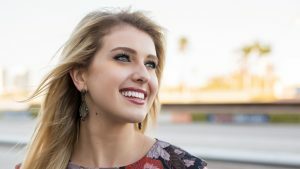 Acacia Courtney, host of the simulcast show from Gulfstream Park, is one of the smartest and hardest working people in the business. We are featuring her in an upcoming issue of the TDN Weekend. 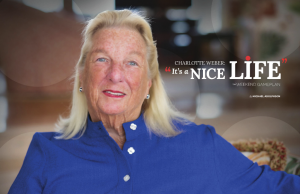 Charlotte Weber, one of the most respected owners in the business, keeps it old school and races what she breeds. We’ve been lucky enough to do several features with Mrs. Weber. We aim to grow in our partnership with the TDN as the digital playground continues to spread across all genres. Even the sport most steeped in history and tradition is finding new life — and fans — in the new media order.